First printed in 1633, John Ford’s play has been largely forgotten for the last four centuries, but the Royal Shakespeare Company, having been swayed by a panel of academics, is determined to make the case for it – and it succeeds, thanks to a vigorous and gripping production by Matthew Dunster. The revenge tragedy is one of three surviving plays by Ford, whose work is enjoying something of moment. The Broken Heart has just concluded a run at the Sam Wanamaker Playhouse. It shares motifs and themes with his best known play ‘Tis Pity She’s a Whore, as well as echoing Othello in its exploration of lust, lies, jealously and betrayal. Dunster, making his RSC debut, has made a very beautiful production of this play of ugliness. Designer Anna Fleischle has churched the Swan stage. The floor is carpeted in black velvet and a series of metal arches frame the play space, glowing ominously during scenes of high tension. Videos are projected on the windows at the back of the set and the beautiful, ornate costumes pop against the black backdrop. The plot is pretty convoluted but Dunster handles it well. The Duke of Pavy, having married the beautiful young Bianca, starts to fret and sweat over whether she will remain faithful. At the same time his widowed sister finds herself falling for Fernando only to be rejected because he is besotted with Bianca, so she concocts a plot to get back at him. Another plot strand sees cocky young courtier Ferentes seemingly seducing and impregnating every woman in the city. It’s a brutal, bloody play, a play of heat and rage. It’s hard to be a woman in this world – their virtue policed, their bodies property – and Dunster’s production accentuates this. Not only do the male characters humiliate the women, but they abuse them, physically dominating them, flinging them to the ground, hurling them around by the hair. It’s uncomfortable to watch. There are times when it feels too much. A further subplot involving Matthew Kelly’s buffoonish Mauruccio provides some necessary levity and Kelly eats up these scenes in the best way. 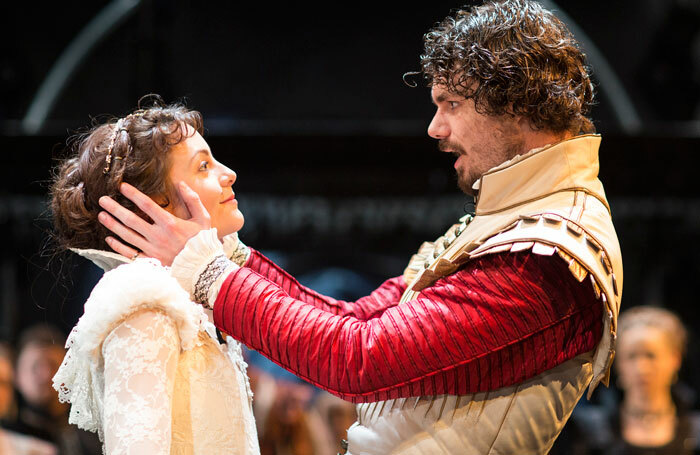 There’s strong playing too from the rest of the ensemble, particularly from Catrin Stewart, who gives Bianca agency and presence, and from Matthew Needham, as the Duke, a man slowly being wrenched apart by his own jealousy, consumed from within. While the whole production is visually very rich, a Looking Glass masque is particularly striking, the characters becoming players in a chess game of their own making. And while the play is long and has its lulls, Dunster carefully builds the mood of tension and unease, driving the plot towards its inevitably messy conclusion.